Let’s rewind to the summer of 2016. Geoff and I were attending a demo night at a local running store. 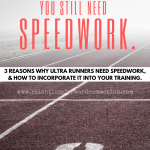 I honestly can’t remember the product line being demoed, perhaps it was Altra running or maybe even Nathan Sports…the local rep covers them both. This was maybe the second or third time we had met this specific rep, and he was on to the crazy sort of shenanigans that Geoff and I participate in. 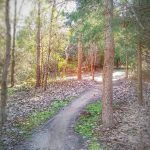 As the night wore on and the regular runners had all slipped away, a few of us trail running rogues had found some of our mountain bike counterparts from the bike shop next door, and we were drinking beer in the parking lot. 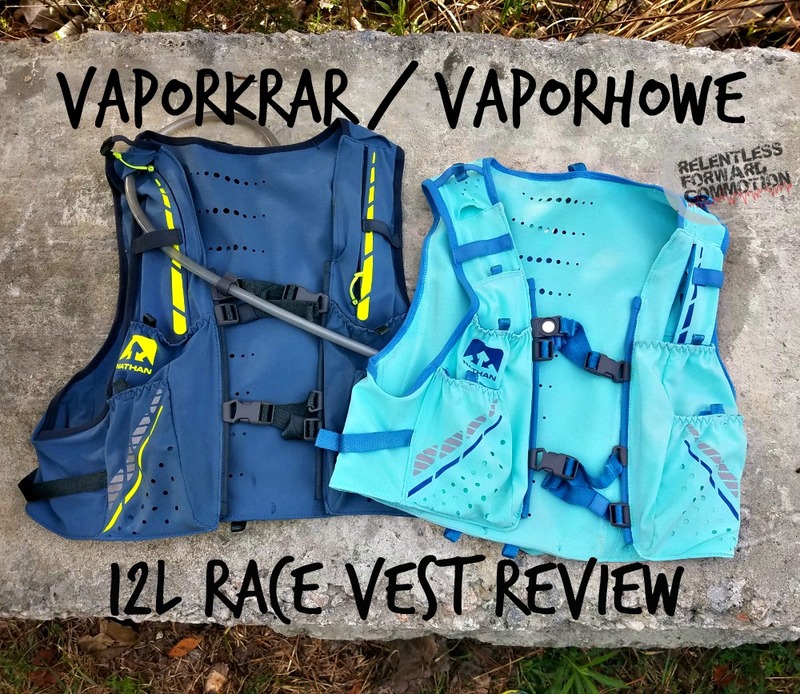 And that is when I first set my sights on the VaporHowe 4L & 12L race vests. They were only samples, of course, and Ed informed me that the actual product for sale to the masses wouldn’t be available until Spring of 2017. I loved what I saw (and tried on) and decided that my beat up, falling apart Nathan Intensity could hold on for a few more months while I waited for the Nathan VaporHowe to be released. Fast forward to winter of 2016. 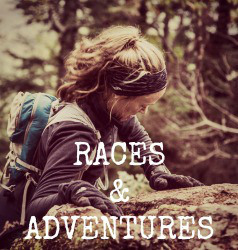 I now find myself working for a different running store, but our brand reps are all the same. Now that I’m seeing our friend Ed on a more regular basis, I’ve taken to hounding the poor fella about the release date of the Nathan VaporHowe (and men’s version, VaporKrar). And I hound. And I hound. And I become quite obnoxious about it, especially when the supposed ship date coincides with my birthday, but alas there is a mix up and the packs never show. …and I hate it. It bounces everywhere, the bladder is practically slapping me on the back with each step. 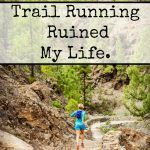 I run less than a quarter of a mile before coming back and hastily handing the pack to Ed, lamenting to him about how much I hate it. He tells me to not give up hope, and that often the sample products are nothing like the finished retail items. None the less, I go home and order an Ultimate Direction Adventure Vesta (or should I say, an amazing friend/client ordered it for me.) And that was the end of that. A week later, wouldn’t you know the damn Nathan VaporHowe finally shows up. Out of curiosity more than anything, I take it out of the box and try it on, with every intention of sending it back. Immediately, I notice that the finished product is indeed very different from the sample, in all of the right ways. The straps are thicker, more supportive. The material seems more durable. I ask my boss to throw whatever she can find in the back bladder storage pocket, a heavy YETI travel mug, a container of nuts, and I proceed to run around the back room of the store. Much to my surprise, nothing bounces. I wear the pack around for the next few hours (even did a shoe fit wearing it, probably confused a few customers). And that’s when I bought the Nathan VaporHowe, on a total whim, even though I had just received a brand new UD vest DAYS before. 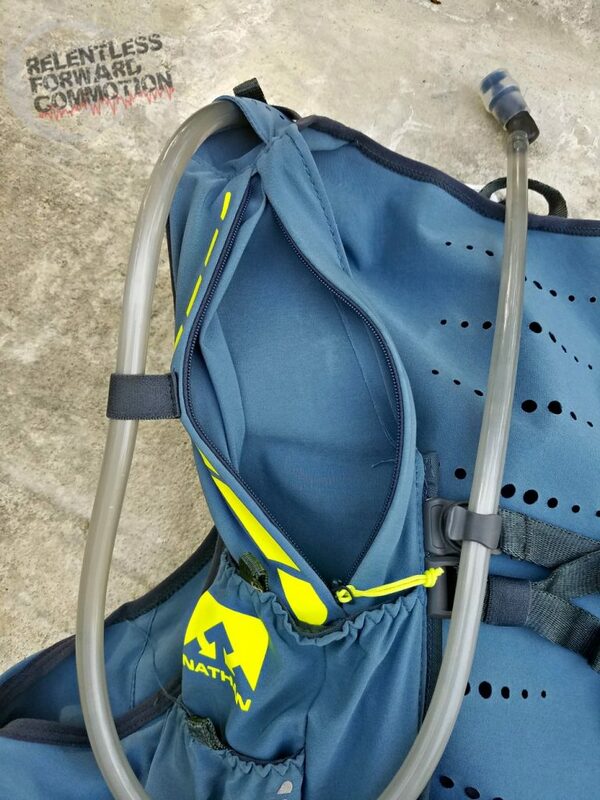 The review on the Nathan VaporHowe 12L is approximately one week and 64 miles old (*edit: updated thoughts at the end, from one year later), so I suppose we’ll still consider this the beginning phase of our review. 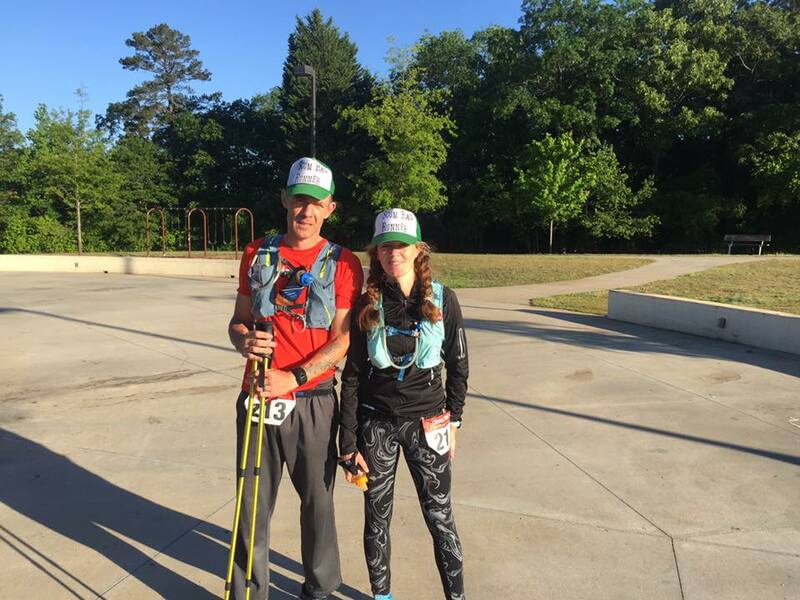 The longest run to date in the Nathan VaporHowe was 26 miles in approximately 78 degree temps. I’ve yet to have to shove countless layers of outerwear that I’ve had to strip off, or run with accessories such as trekking poles. There just isn’t a need in Myrtle Beach in April. Also, because I’m the one wearing the VaporHowe, much of this review will be focused on that model. 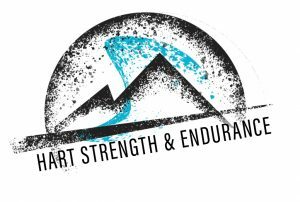 The VaporHowe and VaporKrar were designed with the ultra endurance athlete in mind, named after Nathan athletes (and amazing ultra runners) Stephanie Howe and Rob Krar. The Nathan website doesn’t go into a ton of detail regarding the specs of this particular model, but here’s what I’ve been able to come up with using the magic of the internet. 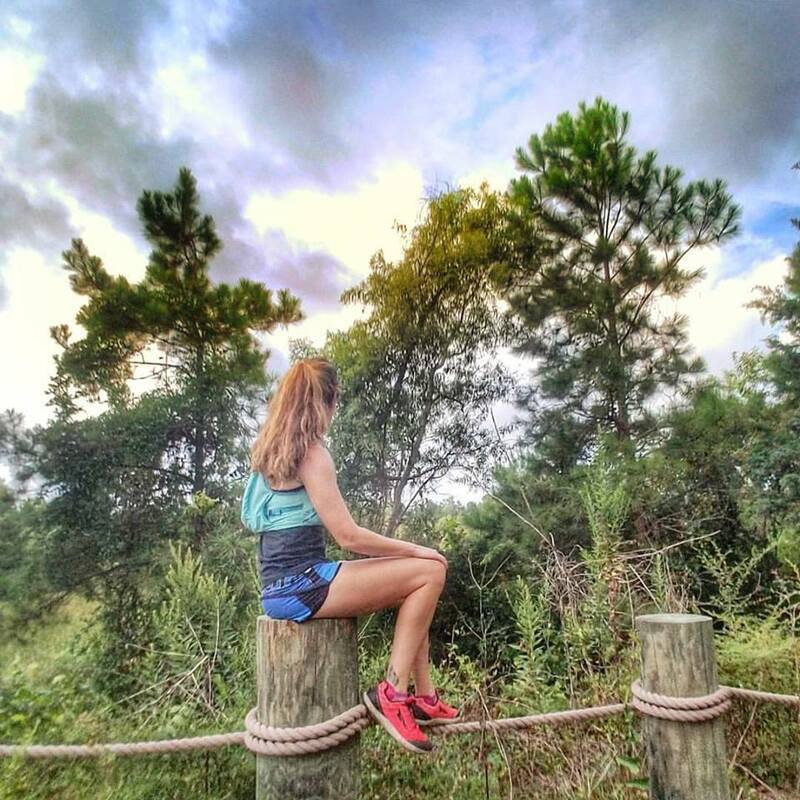 The VaporHowe is designed and cut specifically for a female fit, whereas the VaporKrar is designed for men. The VaporHowe is available in XXS, XS, S, M, and L sizing, while the VaporKrar comes in XS, S, M, L, and XL options. Both models feature an apparel-like fit designed with lightweight, moisture-wicking materials and perforated laser-cut pinholes. 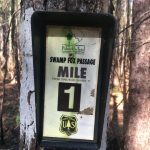 Here in hotter-than-hot South Carolina, this is a welcome change from typical heavier hydration pack materials. 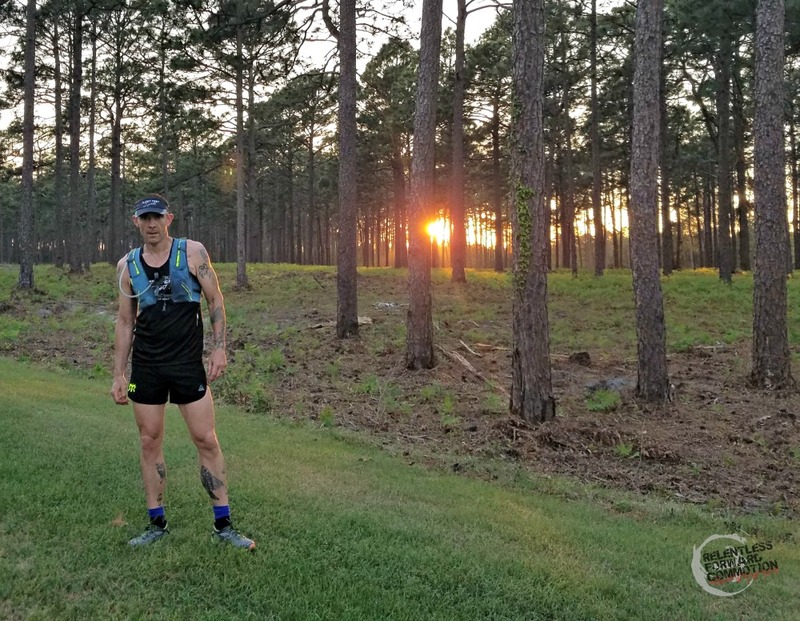 The fabric feels like a lightweight tech singlet against your skin, and is ideal for wearing without a shirt (and not worrying about chafing or blistering). I do worry how this material will hold up long term (I would NOT be dragging this one under barbed wire through an obstacle course race) but for now, I’m a huge fan. 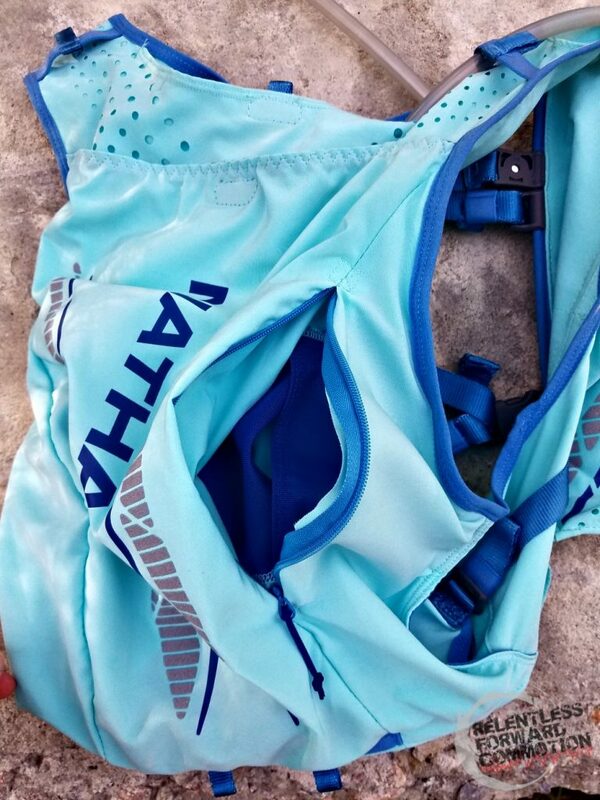 There are two sternum straps on both the Nathan VaporHowe and VaporKrar. 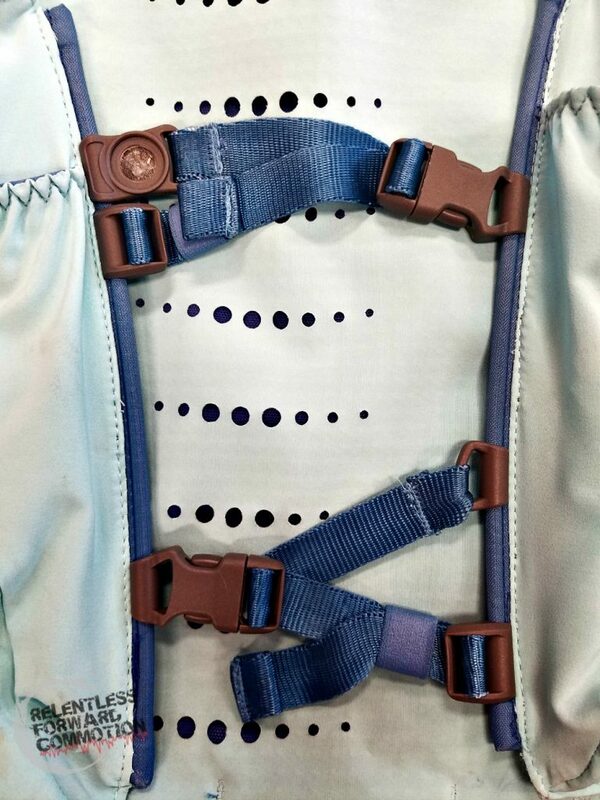 The straps are adjustable in width, and move up and down the sides of the shoulder straps for further fit adjustment. 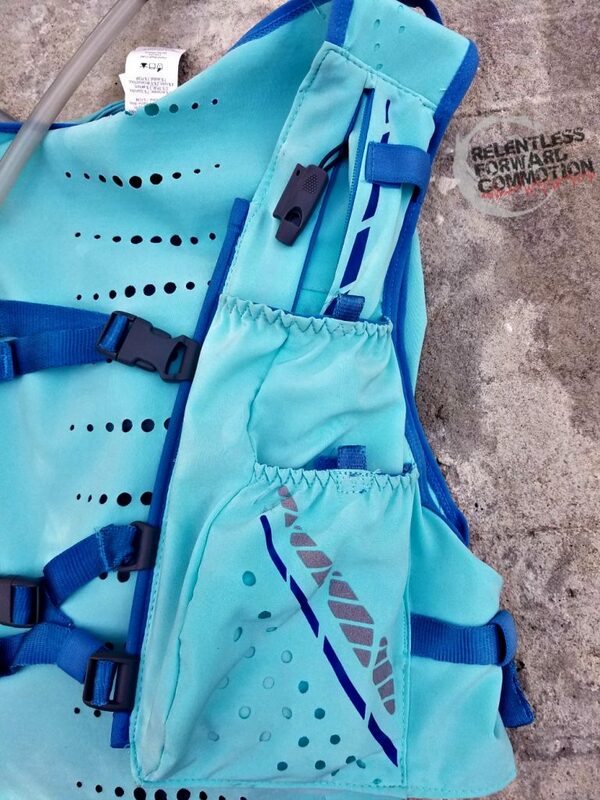 There are also adjustment straps along the hips/torso side area. For review purposes, here are my own specs: I am a 34 chest and A/B cup size, 5’7″ tall and 135 lbs. I ordered the Small. The fit is great, if not potentially just a little bit too snug when the 1.8 L bladder is 100% full. I prefer it this way, however, as I had issues with my last pack becoming too big and stretched out over time. 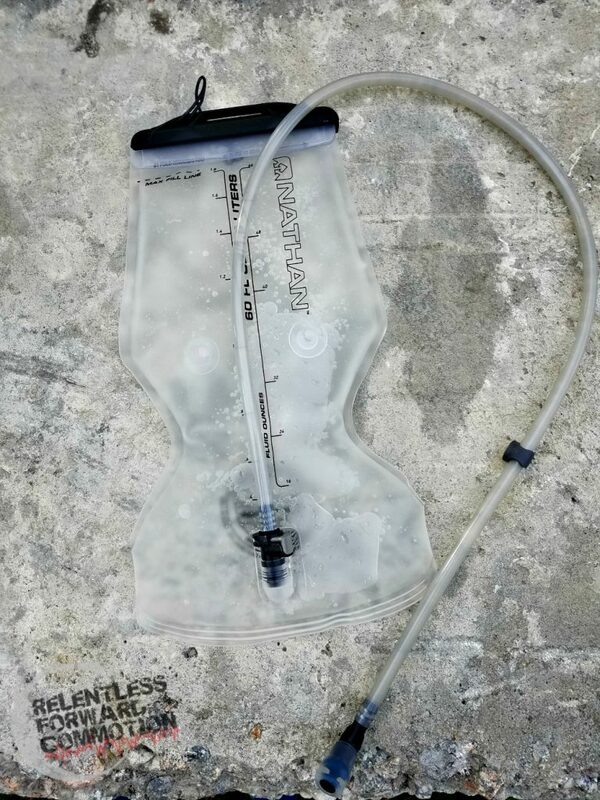 The included 1.8 L hydration bladder has a very interesting hour-glass shape which is supposed to help prevent bounce. I can confirm, it does help prevent bouncing. I truly worried that the thinner fabric of the pack itself wouldn’t hold a full bladder in place, but it does. I think the fact that the fabric hugs so tightly like a shirt certainly helps prevent bouncing. 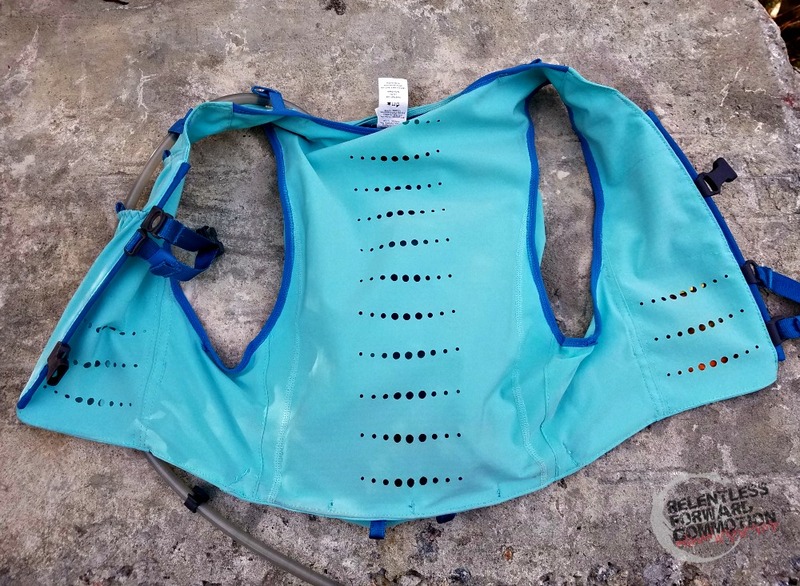 The bladder attaches to a loop at the top of the pack to prevent it from falling to the bottom as it empties, and has options to run the hose down either the left or the right side of the shoulder straps. 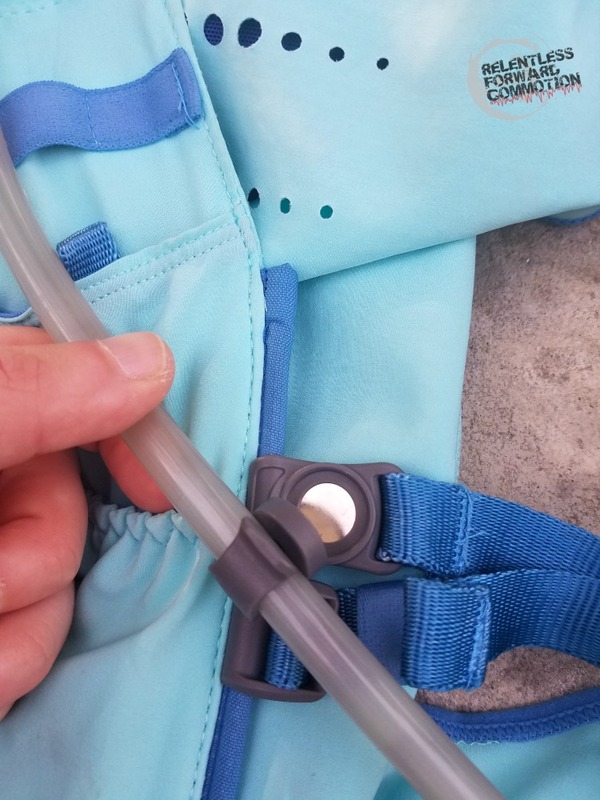 There is a magnet attachment on the chest straps to help prevent the straw from waving around. Let’s talk about storage space. When deciding to upgrade my Intensity, I knew I wanted more room. 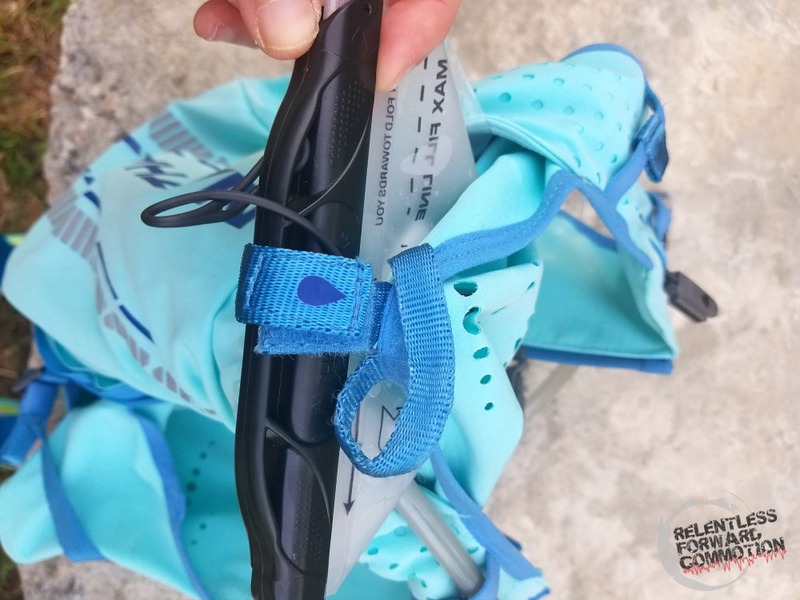 At TransRockies last summer, I had stuff hanging off of my hydration pack, tied around my waist, essentially stored anywhere I could find space, and it was sort of obnoxious. I wanted the ability to put all of my extra gear INTO my pack if needed. Both the VaporHowe and VaporKrar advertise 12L of storage space, total. This is done in a seemingly very streamlined way. 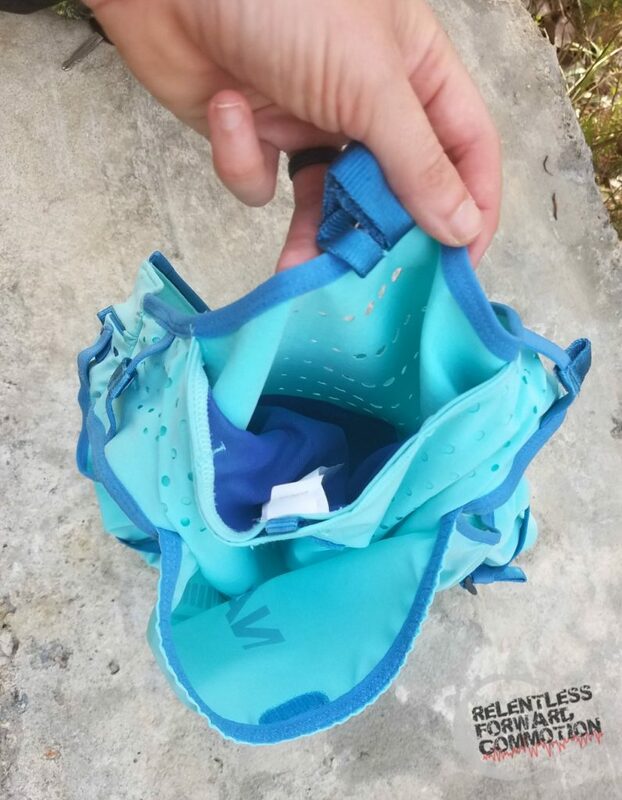 Instead of having big, bulky pockets, there are smaller pouches and pockets hidden seemingly everywhere. Pockets INSIDE of pockets, even. 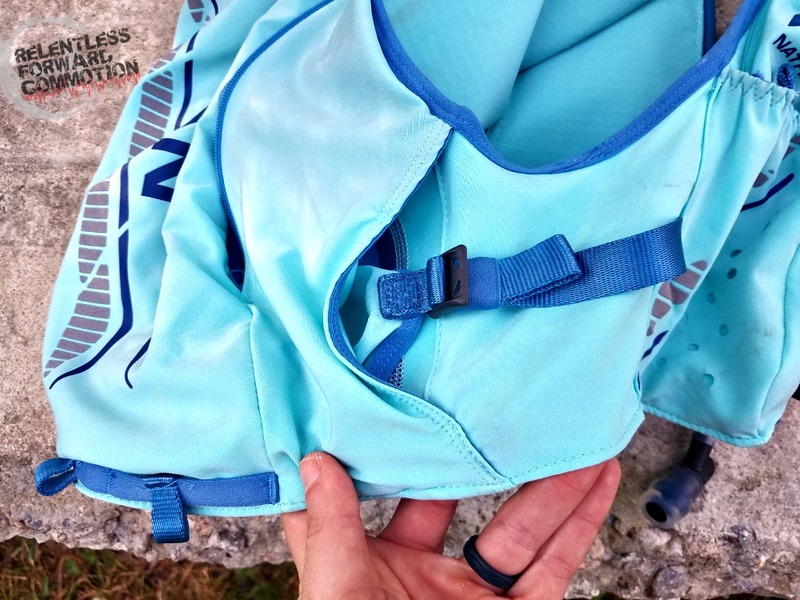 Because of the tight fit of the vest, anything stored in the pockets is immediately hugged tight against the body, helping to prevent any unnecessary bouncing. The front of the VaporHowe includes a ton of little pockets. According to the website, they are designed to fit the iPhone6. I wouldn’t know anything about that, but I did recently enter the 21st century with an upgrade to a Galaxy 7 (wooo) and I can confirm that this does fit easily in the pockets. I can also fit a ton of other things, including keys, another phone, snacks for days, and my pepper spray. There is a small zippered pocket on the left side, that has a built in whistle hiding in the pocket. The VaporKrar features slightly different pocket layout than the VaporHowe. I can only imagine this is because there is more real estate on the front of the VaporKrar, is it is designed for a man’s torso. Both sides have the same pocket layout, with two large zippered pockets on the top. 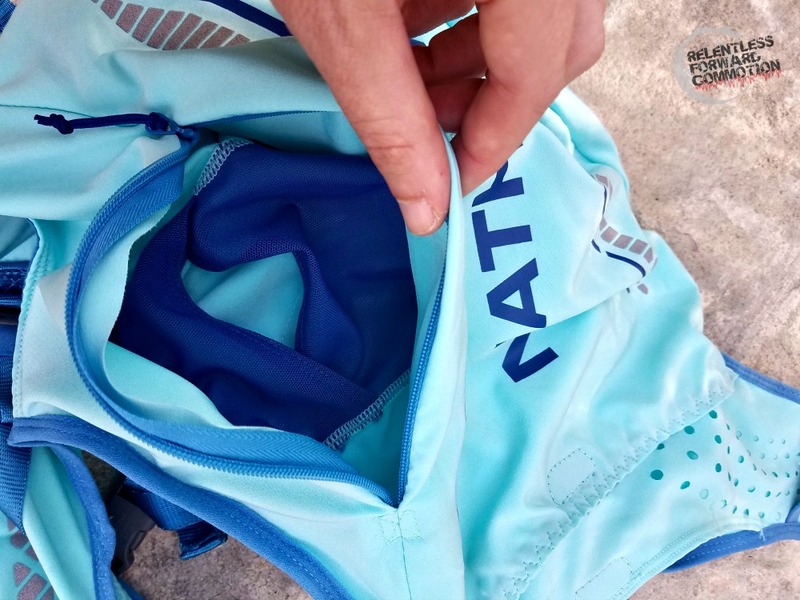 Similar to the VaporHowe, the left zippered pocket contains a whistle. Needless to say, there is a TON of space for “stuff”. – The color. 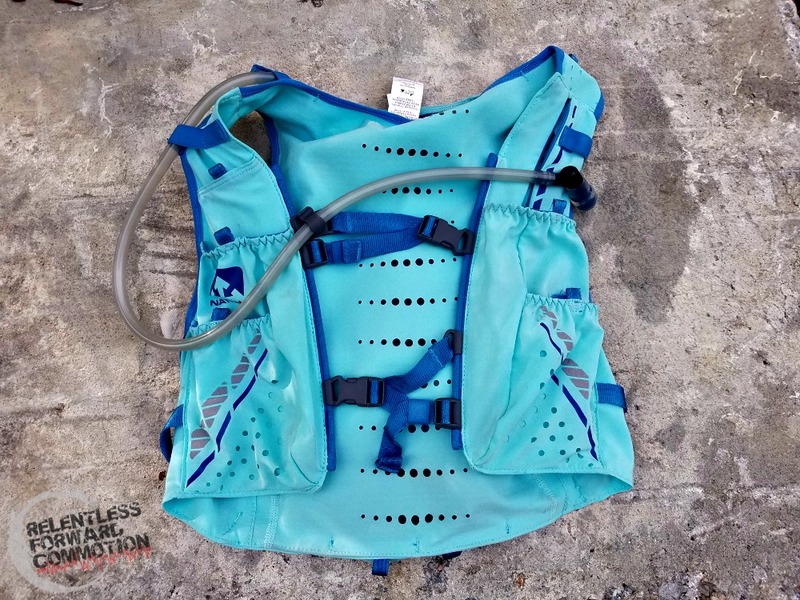 The VaporHowe 12L only comes in the “Blue Radiance” option. It’s pretty, don’t get me wrong, but it’s a week old and already covered in dirt and sweat. The men’s color is darker, and will likely cover the dirt and sweat a little better. – The straw on the hydration bladders are ridiculously long. I joke that they are like the “buddy breathing” regulator scuba divers use (I obviously have no idea what those are actually called.) I’ve managed to find the sweet spot with mine, where I have to tuck the bite valve end of the straw into one of the pockets to keep it from flapping around. Geoff is still working on finding his. – I worry about the waterproof aspects of this vest. As in, I highly doubt it’s water resistant at all. With my Intensity, even in a downpour, a phone stored in the deepest pocket would stay dry. The fabric of the VaporHowe/VaporKrar is very thin, and permeable. I’ll be investing in a waterproof pouch to store my phone in, just to be safe. Essentially, all of these “cons” are very fixable. Put the pack in the washing machine, replace the removable straw on the bladder with another one, and get a waterproof pouch. Not hard fixes. 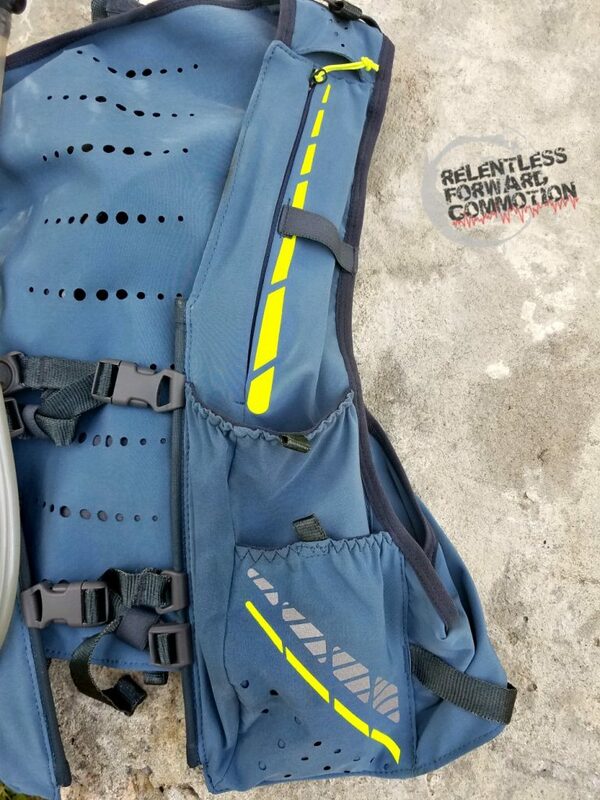 In the end, the MOST important thing for me in a hydration vest is the fit. I want my pack to feel like an extension of my body…in other words, I don’t want to notice it is even there. The Nathan VaporHowe 12L does exactly that. And as an added bonus, it holds a lot of stuff, much more than my Intensity did. So far, I’m not disappointed in this pack, and it was certainly worth the 6 month wait! While the majority of this review has focused on the VaporHowe, Geoff has had a very similar experience with his VaporKrar. In fact, he actually decided to NOT order the Orange Mud vest he had been eyeballing, just after his first run in the VaporKrar. 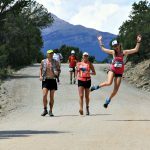 I will absolutely update this post after I get a few hundred more miles in the pack, as well as provide feedback after using it in an actual race. But for now, if you’ve been considering this pack (or the VaporKrar) I would not hesitate to tell you to go for it. I do not think you will regret it. While Nathan has already moved on to some new models, I felt it was a good time to update this review on the Nathan VaporHowe, as I am seeing them becoming increasingly popular. When I say I put this pack through the wringer, I mean it. 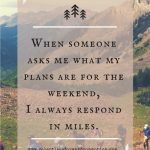 I carried it through every step of my 100 miler last spring, and through nearly every single race and training mile since. 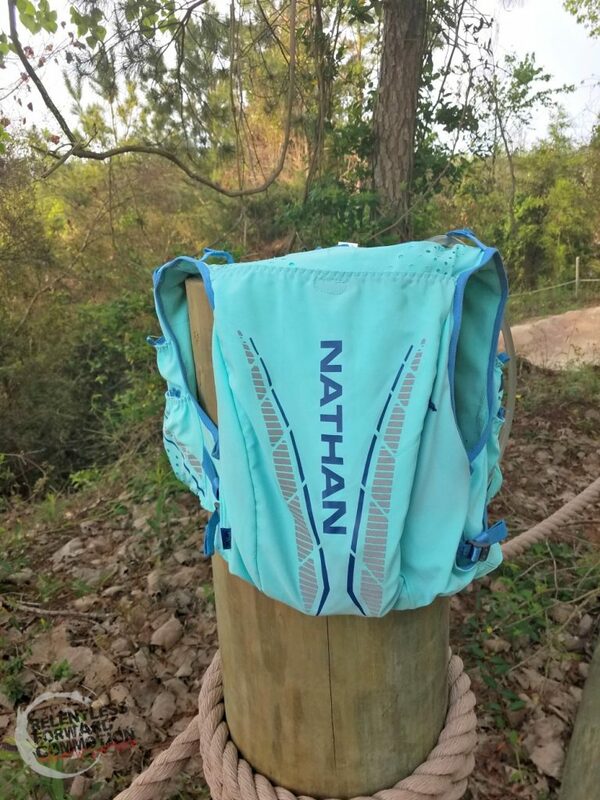 In fact, the Nathan VaporHowe is light enough that I truly can wear it for even short distance runs, simply for a place to hold my cell phone, keys, and just a little bit of water. 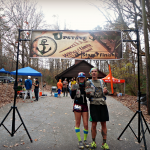 …about 97 miles in to our first 100 miler. 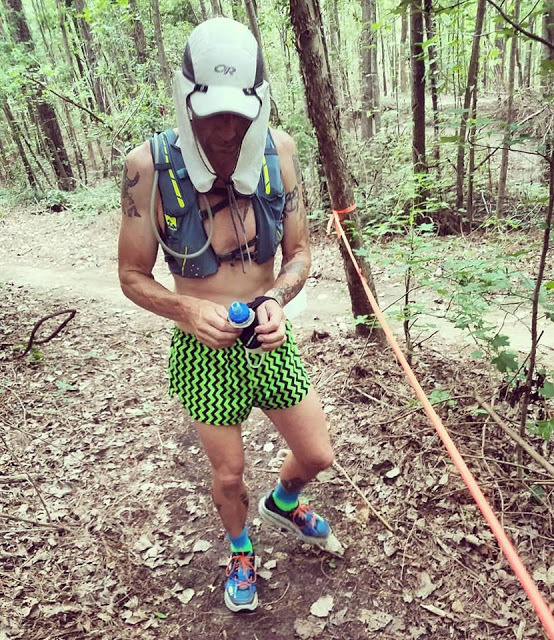 Speaking of water, last fall during the Ragnar Trails Carolina event, the hydration bladder of my Nathan VaporHowe sprung a leak…and completely soaked me. 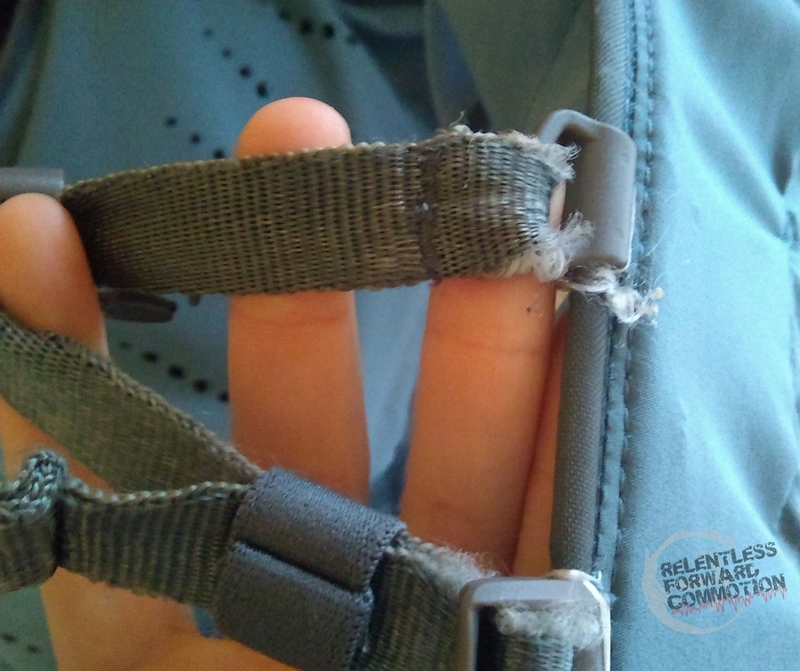 I was pretty bummed that a 6 month old bladder that I had taken good care of (in a $180 vest) had already malfunctioned. When I got home from the event, I contacted Nathan and after sharing a short video of the leak, they were quick to provide me with a replacement bladder. The fit of the Nathan VaporHowe has continuously proven to be my favorite feature. It is incredibly lightweight, yet fits against the body almost like a fitted shirt, which helps avoid any bouncing, rubbing, or chafing. As mentioned above, I opted for a size Small. I am 5’7″, 135 lbs, and an A/B cup bra. The small fits well, except when I have the pack fully loaded, with a full bladder and gear in the storage pockets. In those instances, I really wish I had opted for a Medium, as I can hardly breathe, the pack is too tight. So if you are in between sizes, I would definitely recommend sizing up if you plan to use the Nathan VaporHowe to it’s full capacity. Side angle showing how streamlined the fit is. I mentioned a concern of this pack being waterproof, and it was a legitimate concern to have. Because the fabric is so thin, forget rain…sweat permeates the material and can saturate items stored in pockets. This is easily solved by putting important stuff in ziplock bags. Honestly, it’s worth the trade off for having a pack that absorbs sweat and helps keep me cool, rather than thicker material that weighs me down. My last little beef about this pack is the fact that the sternum straps started fraying almost immediately on both the Nathan VaporHowe and VaporKrar. Fortunately, they haven’t gotten much worse over time, but I was surprised at how very quickly they began to fall apart. Those minor complaints aside, I cannot say enough good things about the Nathan VaporHowe. I have stuffed this thing to full capacity, as well as worn it for a simple hike with my kids, and everything in between. 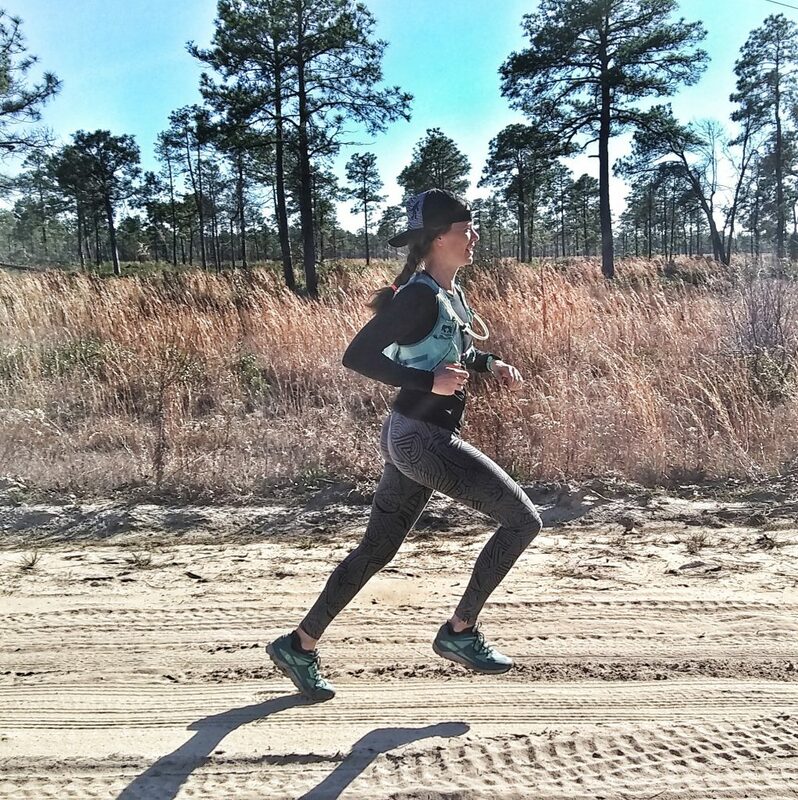 The lightweight, expandable material makes it versatile for runs and hikes of all distances. the pockets are wildly convenient and easy to use, I can pull my phone or snacks out easily, and replace them just as quickly. 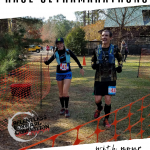 All in all, both Geoff and I are absolutely thrilled with our Nathan VaporHowe and VaporKrar purchases (you can read his review here: Bigcatbox reviews the Nathan VaporKrar) and would absolutely recommend them to anyone considering purchasing a pack for longer distance training runs and races. Thanks for the review. I love Nathan products and will have to check this out. On a second note, if the tube from the bladder is too long, just pull off the valve, cut it to the right length and put it back on. I had to do this with my Nathan Zelos which also had a very long tube. 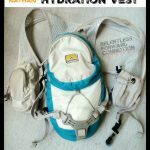 I love Nathan Hydration vests! It sounds like this one does not disappoint! 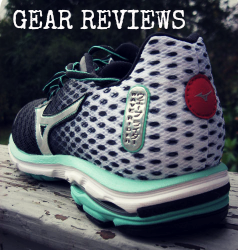 Great review and love the fun colors! Thanks for the review! This seem to be a fine vest or backpack. Maybe I will try one why they are available in europe. Great review! 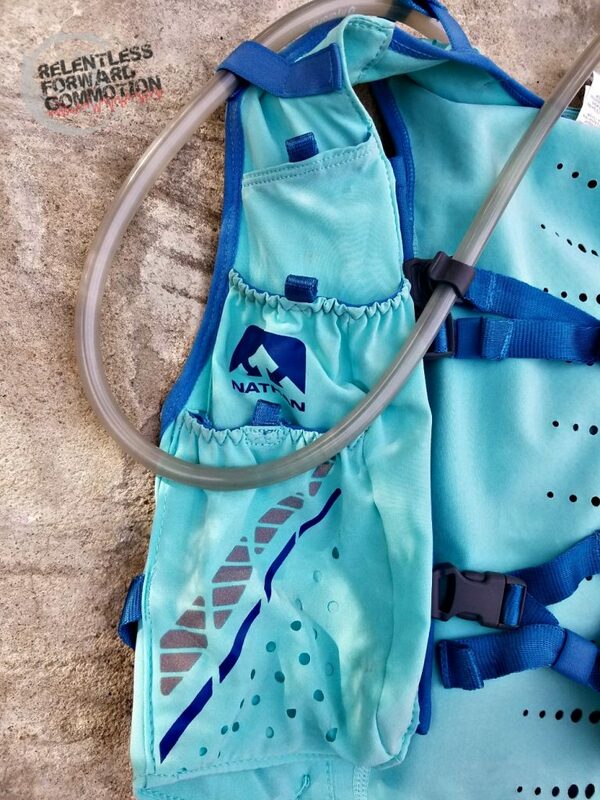 Hoping you can answer a question for me, I’m a big fan of the kangaroo pouch on my Salomon s-lab skin3 5 set (oh my gosh that name) and I’ve been unable to find anybody who talks about storage accessible without taking the vest off. Can any of that back storage be accessed solo unstrapping?